Tractor trailer safety is the focus of this FixonRoad.com™ blog entry. 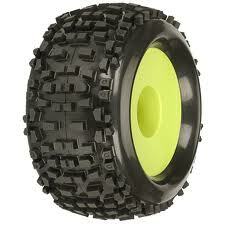 Here is the question regarding trucks and anti-lock brakes: Is it safer to have ABS on the tractor and the trailer? Or, it is a better option to have ABS on the trailer only, when the tractor does not? It is clear that trucks using antilock braking systems on the tractor unit have been involved in fewer crashes for air-braked tractor-trailers. The drop in truck accidents is estimated at approximately 3%. This study was released by the National Highway Traffic Safety Administration. It is still unclear whether it is beneficial for the ABS to be on both the tractor and the trailer or just on the trailer. The study measured data taken from 7 states and takes into account the age of the tractor trailer at the time of the accident. The latest trucking mandate requires ABS on all new air-braked vehicles with a GVWR of 10,000 pounds or more. Anti-lock brakes have the potential to influence several types of truck accidents. Trucks with ABS see a reduction in tractor trailer jackknives, off-road truck overturns, and in collisions with other vehicles. Trucks involved in accidents are more likely to be in need of roadside assistance. 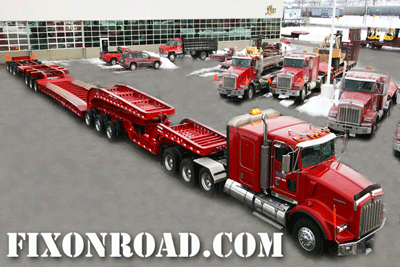 FixonRoad.com™ proudly brings you the latest news in the trucking industry. 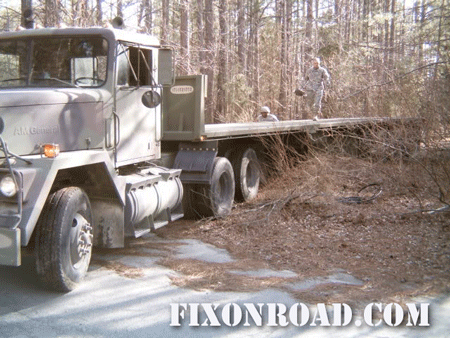 If you are ever in need of emergency roadside assistance for your truck or for an entire fleet of trucks, you can count on the mobile truck road service professionals at FixonRoad.com™. We are pleased to provide you with the best quality Truck Repair and Services Business Directory in the United States of America. 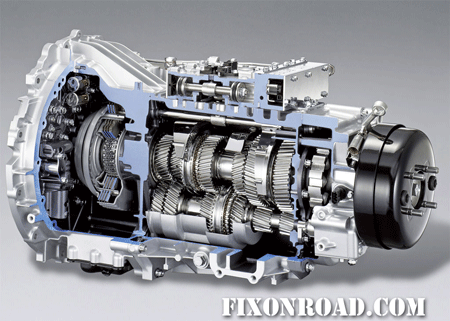 When it comes to truck transmissions, the more transmission – the better off you are! Heavy haulers generally opt for an 18-speed manual transmission. There are also two-speed auxiliary transmissions or two-speed rear axles to choose from. These truck transmissions provide improved startability and driveability. Two-speed auxiliary truck transmissions double the reduction, and two-speed rear axles increase reduction by approximately 33%. If you want to keep your truck out of the repair shop, then it is a good idea to examine driver performance. When trying to keep truck repairs to a minimum, it is essential that truck drivers have all of the necessary truck parts to do the job. Heavy haul truck operators have to be certain that they have as much glass area as possible and plenty of mirrors such as 4-way adjustable, cowl-mounted mirrors in addition to convex mirrors are recommended. Mirrors may also need to be readjusted periodically to be sure that they remain aligned. Truck parts need to be replaced often. Windshields for example need to be replaced at least once per year. 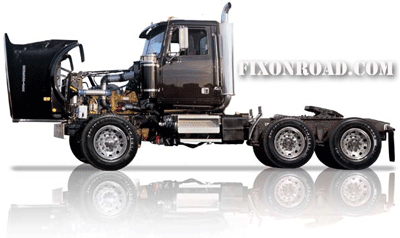 Whether its truck windshield service, truck transmission repairs or truck tire service, FixonRoad.com™ gives our visitors access to the most comprehensive list of Truck Repair service providers around. Our Truck Repair and Road Service providers specialize in: Mobile Repair Service, Truck Repair Towing, Mobile Trailer Service, Trailer Repair, Truck Stops with Repair, Mobile Tire Service, Truck Tire Sales and Tire Service, Quick Lube, Mobile Bus Service, Bus Repair, Truck Air Conditioning, Mobile RV Service, RV Repairs and Service , Mobile Bus Service, Bus Repair, Truck Glass Repair, Mobile Refrigeration Service, Reefer Repair and Service, Liftgates, Mobile Hydraulics Service, Truck Body Shops, Truck Parts, Load Shifts and Transfers, Truck Welding Frame, Truck Alignment and Truck Suspension. 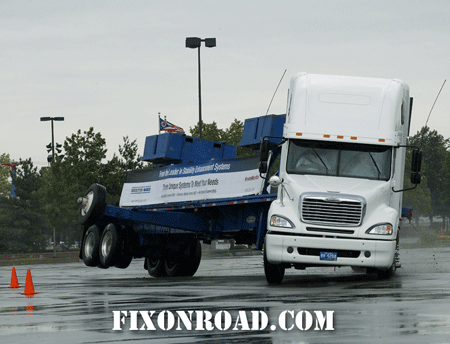 FixonRoad.com™ truck repair blog aims to give you important information regarding trucking industry news. As you may or may not be aware know, Big rigs and heavy haulers that transport loads over 120,000 pounds (GCW) are required to specify their trucks appropriately in respect to durability and power. Trucks that are not accurately specified can have an adverse effect on truck fuel mileage and other operating costs including truck repair. It is important to correctly specify the truck’s wheelbase – especially when heavy haulers are involved. The heavy hauler industry standard for rear axles comes in at 46,000-pounds. However, in extreme cases, there are axles with capacities upwards of 150,000 pounds. The length and weight regulations differ from state to state. Some states follow the Federal Bridge Formula and other states have their own set of trucking requirements. In any event, it is crucial that truck wheelbases should not be any longer than is necessary as there will be a reduction in maneuverability with respect to heavy haul tractors on congested roads. Reinforced frame rails are sometimes needed in order to haul heavy loads. To put it simply, the longer the wheelbase – the more axle capacity – which means that the frame will need to be more rigid. Another factor in heavy hauler performance is the rear axle ratio. There needs to be a balance between cruise speed and low gearing. Heavy haulers traveling over long distances at highway speeds should select ratios that are low as possible. Rear axles need to be durable. The heavy hauler industry standard for rear axles comes in at 46,000-pounds. However, in extreme cases, there are axles with capacities upwards of 150,000 pounds. Axle selection also depends on traction. On slippery roads or muddy job sites, it may be a good idea to choose Automatic Traction Control on the antilock brake systems. Whether its truck radiator service or truck a/c repair, FixonRoad.com™ gives our visitors access to the most comprehensive list of Truck Repair service providers around. Our Truck Repair and Road Service providers specialize in: Mobile Repair Service, Truck Repair Towing, Mobile Trailer Service, Trailer Repair, Truck Stops with Repair, Mobile Tire Service, Truck Tire Sales and Tire Service, Quick Lube, Mobile Bus Service, Bus Repair, Truck Air Conditioning, Mobile RV Service, RV Repairs and Service , Mobile Bus Service, Bus Repair, Truck Glass Repair, Mobile Refrigeration Service, Reefer Repair and Service, Liftgates, Mobile Hydraulics Service, Truck Body Shops, Truck Parts, Load Shifts and Transfers, Truck Welding Frame, Truck Alignment and Truck Suspension. Heavy haulers always must consider the dangers of engine cooling. Heavy haulers usually do not run trucks with engines under 15 liters. In addition, the majority of heavy haulers select engines rated at 475 horsepower and a minimum of 1,750 pounds-feet of torque. Heavy haulers always must consider the dangers of engine cooling. Because many trucks can spend long periods of time pulling heavy loads up hills at reduced speeds and with little air circulation – their radiators can become overworked. It is crucial to choose the right radiator package. FixonRoad.com™ recommends a large radiator, cowl-mounted air cleaners and wide hood to minimize the risk of breakdowns due to truck radiator issues. Radiator issues can lead to overheating. If you do find that you are in need of roadside assistance, be sure to contact FixonRoad.com™ at 800-208-6364 immediately. We will get you the best truck repair service providers in your area. 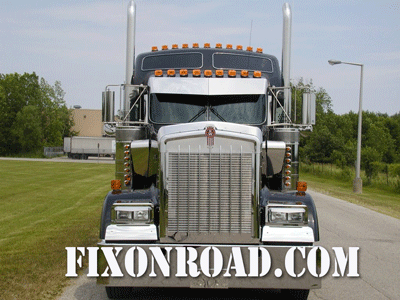 At FixonRoad.com™ we are dedicated to bringing you the best, most reliable and most fairly priced truck repair services around! 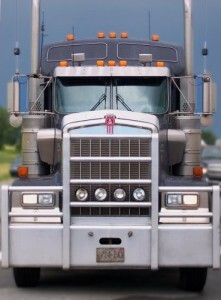 FixonRoad.com™ keeps you up to date on the latest news in the trucking industry. Big rigs and heavy haulers that transport loads of more than 120,000 pounds gross combination weight (GCW) need to specify their trucks properly with regard to durability and power. Trucks that are not specified correctly may impact fuel mileage and increase acquisition costs. Additionally, trucks marked incorrectly may not be powerful enough to move the load and may increase truck repair and truck maintenance costs. It is crucial to find the correct balance between the truck’s job requirement and the expected annual mileage. This balance will help to produce the lowest operating cost per mile. Heavy haulers can select a truck engine after-treatment approach that utilizes Selective Catalytic Reduction (SCR) technology in conjunction with Exhaust Gas Recirculation (EGR). To complicate matters even more, this year 2010 federal truck engine emissions standards in the US and Canada may require heavy haulers to make revisions to their current trucking equipment configurations. There are currently two choices of truck engine technologies – Selective Catalytic Reduction (SCR) and Exhaust Gas Recirculation (EGR). The choice will impact truck performance and operating costs over the lifetime of the truck. Increased Exhaust Gas Recirculation (EGR) boosts the amount of exhaust gases in the engine cylinder. Then it slows and cools the combustion process to burn off pollutants. This method requires greater truck engine cooling capacity as well as an increase in the amount of fuel to be injected. Selective Catalytic Reduction (SCR), on the other hand, does not utilize heat from the truck engine to treat emissions. Therefore, SCR based truck engines offer the advantage of greater fuel economy. It is a good idea for heavy haulers choosing SCR to also be sure to take into consideration Diesel Exhaust Fluid (DEF) tank capacity and placement designed for heavy haulers. This will help to ensure that heavy haul operators maintain truck wheelbase and body configurations.